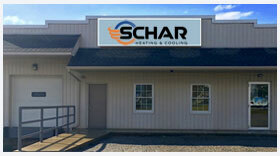 Schar Heating & Cooling, Inc. is proud to serve the Wooster community! About Wooster, OH - Happy to be your hometown Heating & Air Conditioning Contractor! Located in northeastern Ohio, Wooster is a growing city with approximately 26,200 residents. It is the county seat of Wayne County and is only about 50 miles southwest of Cleveland. The City of Akron is even closer at 35 miles northeast, but most residents work right within the Wooster city limits. Several major businesses have chosen Wooster for their headquarters, including Seaman Corp, Wooster Brush, and Buehler Food Markets. The city is also notable for being home to The College of Wooster. There are plenty of things to see and do in Wooster. The Wayne Center for the Arts displays artwork from local artists, and the College of Wooster sponsors the Ohio Light Opera – a professional group that performs light opera repertory. The Wooster Symphony Orchestra is the second oldest in the state and is a joint venture between the College of Wooster and community musicians. Wooster is also home to many outdoor recreational opportunities. Spangler Park offers many miles of hiking through ravines and woods, while Christmas Run Park offers playgrounds and picnicking. Skateboarders might enjoy an afternoon at the skate park at Schellin Park. Family activities like laser tag and go-karting can also be found at Acres of Fun. Wooster will experience a variety of different weather events throughout the year, including freezing temperatures and snowfall during the winter. Located south of the Snow Belt, the Wooster region receives about 47 inches of total accumulation each year. Freezing rain and sleet may result in icing, which could lead to hazardous travel conditions. The right gas or electric furnace at home is a necessity to stay warm indoors. The summer months are hot and humid, and average daily highs often reach into the 80s. Most residents invest in central air conditioning at home, which will keep indoor temperatures comfortable. A high SEER rating will also ensure that homeowners save money on their monthly utility costs.